The boat storage stands are a great way to store your boat or use as a platform to do repairs or rigging. This pair of aluminum and powder coated folding stands are light yet rugged and are easy to transport. Rubber pads on the top help grip and stabilize the hull. 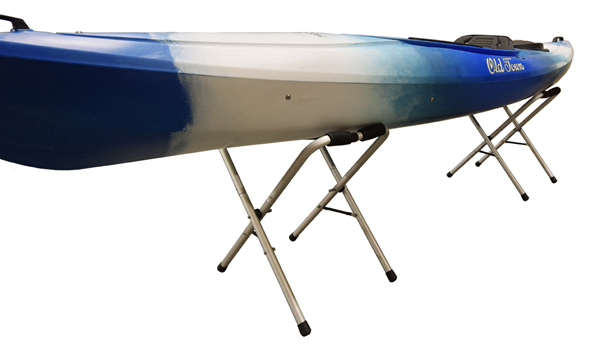 Looking for ideal Kayak Storage Maintance Stands Manufacturer & supplier ? We have a wide selection at great prices to help you get creative. All the Kayak Storage Stands are quality guaranteed. We are China Origin Factory of Kayak Maintance Stands. If you have any question, please feel free to contact us.